These manual espresso machines are young, pretty and colourful! What is Handpresso Pump Pop? 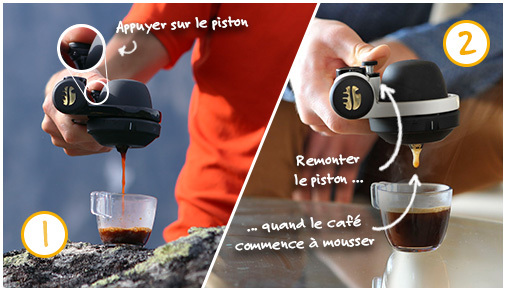 Handpresso Pump is the first ever portable espresso machine launched in 2008 and designed in France. This manual espresso maker works like a bicycle pump to build up a 16-bar pressure so as to offer you a creamy espresso wherever you are. Simple, light and sturdy , Handpresso Pump is the perfect machine for your camping holidays, when you travel, are on a boat or in the office. It makes your coffee breaks absolutely great wherever you are. The Handpresso Pump Pop green espresso makers are young and sporty. They convey joy and humour to the coffee world. What are the features of your manual espresso machine? The Handpresso Pump Pop green portable espresso maker is sold with its 2 portafilters, one for E.S.E. pods, the other for ground coffee. It requires no battery nor electricity, just perfect for those who care for the planet. It is also equipped with a manometer indicating when the 16-bar pressure has been reached. The manual espresso machine exists in various colors: blue, pink, green and orange. How to use your green Handpresso Pump Pop portable espresso maker? 2. Add hot water (from a thermos-insulated bottle or a kettle). 3. Put the espresso coffee of your choice and serve a good quality espresso. 4. Press the valve to extract your coffee and enjoy your espresso! How long does it take to prepare a good espresso on-the-go ? After around 30 strokes to build up the pressure and after having added hot water (95°C), you can release the pressure and drink an espresso with a perfect crema. In less than a minute, your coffee is ready wherever you are, in the office, trekking or traveling. 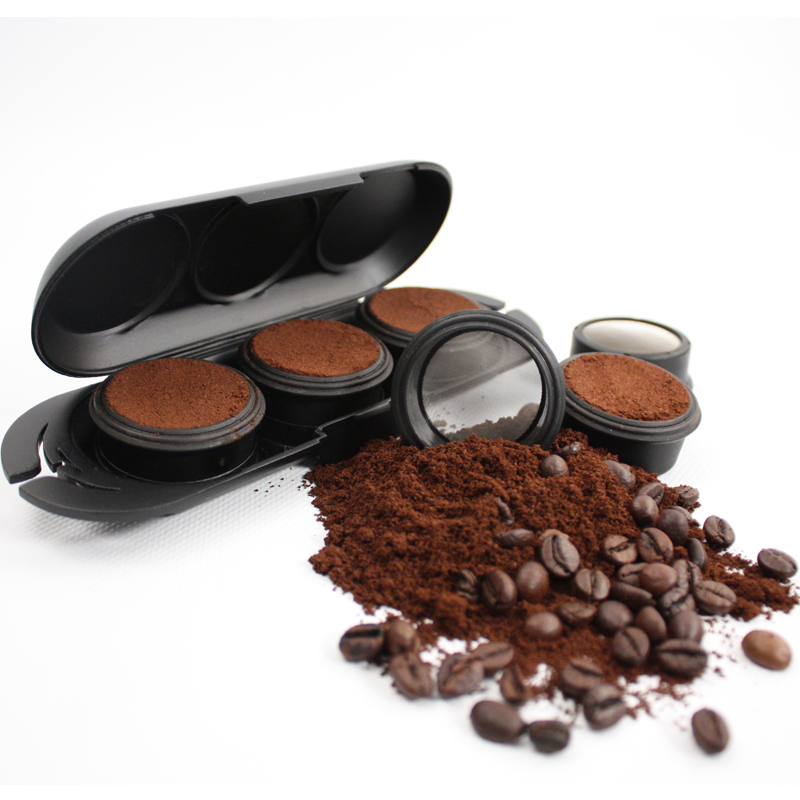 What type of coffee to use with your portable coffee maker? Your manual espresso machine uses E.S.E. espresso pods (stiff pods) or ground coffee. Much smaller than Senseo pods, the E.S.E pods are also much stiffer. The coffee inside the pods has been tamped, so it requires a 16-bar pressure to pass through the pod and create the nice crema, which characterizes a perfect espresso. - We advise you to preheat your cup with very hot water. - Fold the tab of the pod to ensure a perfect watertightness. - To clean the portafilter of your green Handpresso Pump Pop manual espresso machine, just rinse it with tap water. - Read the tips to become an on-the-go barista with Handpresso Pump.